The autograph listed on this document is guaranteed to be authentic. It was hand signed by the indicated celebrity or group of celebrities. 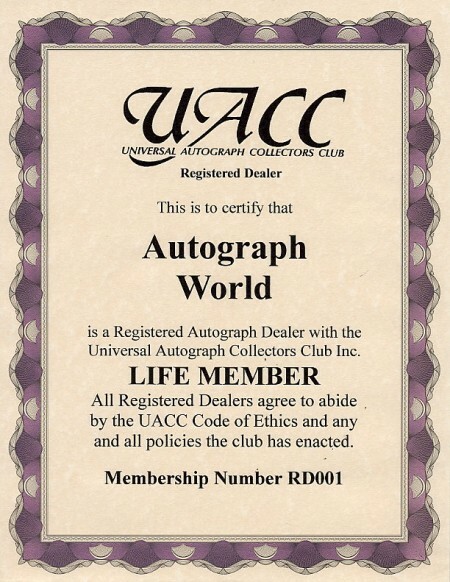 Autograph World maintains this guarantee for the life of the autograph. If you have any questions, please contact us at the above address or visit our website. Bridges, Beau - Actor who starred in 'The Fabulous Baker Boys' and is on TV's 'Stargate SG-1'. 8x10 Color In Person signed portrait.